It’s up to the woman of DC to save the day and they’re doing it in style! Combining the popular pin-up art style of Ant Lucia with a Funko twist, the DC Bombshells join the line-up of Dorbz Vinyl Figures. 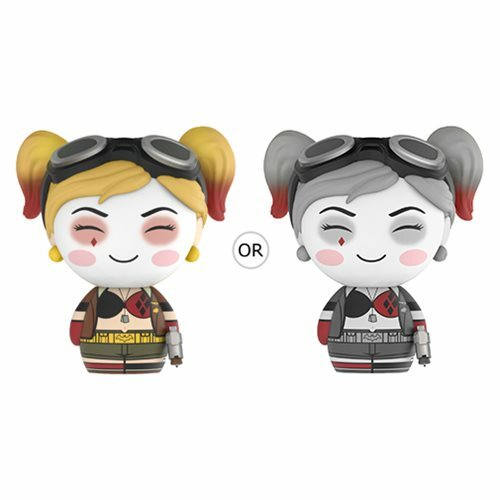 Packaged in a window display box, this DC Bombshells Harley Quinn Dorbz Vinyl Figure #413 measures approximately 3-inches tall. Ages 3 and up. Please note: This item may have variants randomly inserted throughout the production run. We cannot accept requests for specific variants, nor can we accept returns on opened items. The item you receive may be different from the one pictured.